An accidental double booking in 2011,launched the collaboration of award winning guitarist/vocalist/songwriter,Ben Rice,and veteran vocalist/producer/songwriter,Lucy Hammond. The musical chemistry between these powerhouse performers,was immediate! 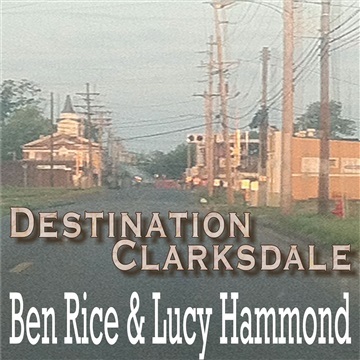 Their high energy shows,have been drawing crowds,ever since.Their new record,Destination Clarksdale,delivers great original tunes,filled with infectious grooves,and soulful vocals. From the playfulness of "Ida Mae",to the field holler style tribute to blues beginnings,"Muddy Water",every song draws you into it's story.Strong,clear melodies,rich textured harmonies,with Rice's award winning guitar,make every song,a stand out! Now 2015 International Blues Challenge Finalists,Ben & Lucy are busy writing songs for their next record,performing,touring,and finalizing the remaining 2015 tours,& festival appearances.